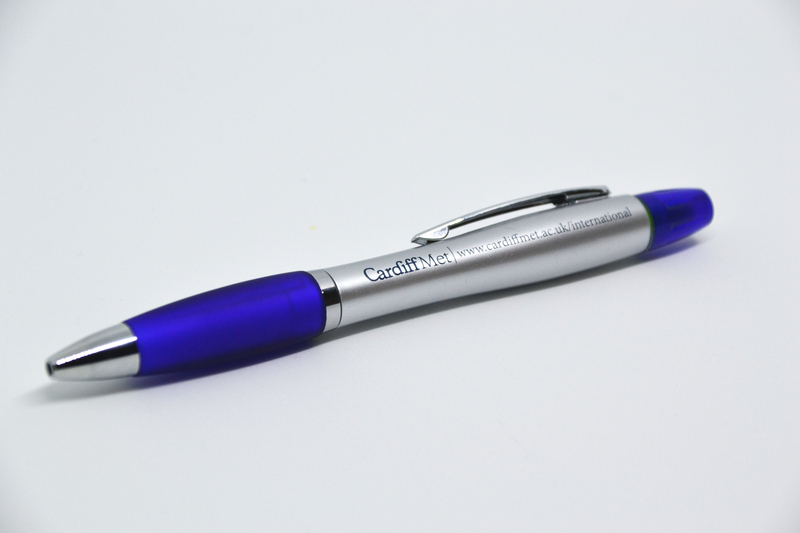 We were recently asked to source some Promotional Pens for our client Cardiff Metropolitan University. 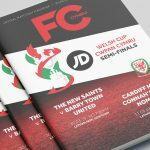 We have been supplying them with their Promotional Pens for a few years now but they had always had a particular style of pen and they initially had just wanted to re-order the same pens again. Unfortunately, that style of pen has now been discontinued so the client asked us to look into some different options. 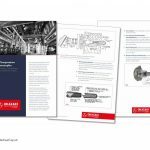 We had the same brief to follow as we had when they approached us initially a few years ago and we presented the client with six alternative options, three of these they decided to get costs on and we also arranged for some samples of the pens as well. After seeing the costs and samples they decided to go with two types of pen. The first being the Sprint Stylus (see the image above) and also the Curvy Highlighter (images below). 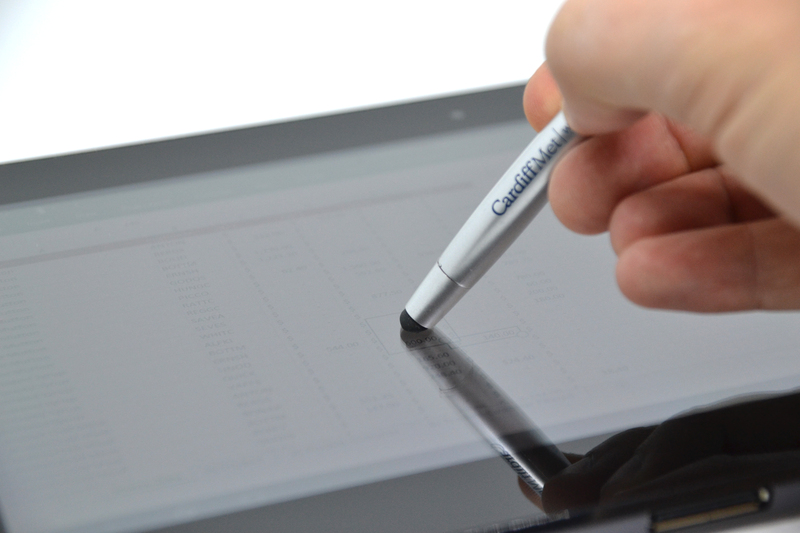 The Sprint Stylus has a soft feel stylus tip which can be used on touch screen items but also allows the nib of the pen to appear when required. 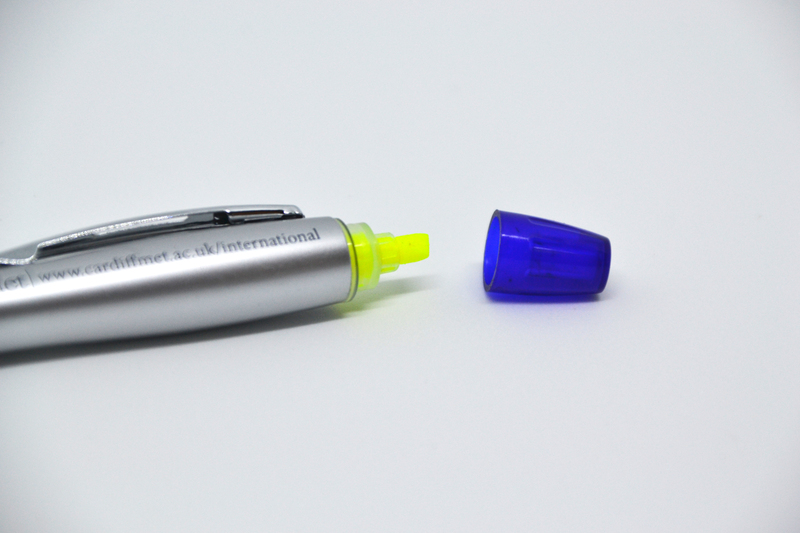 The Curvy Highlighter is quite simply a normal pen at one end and has a vibrant yellow highlighter at the top. 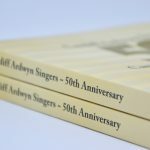 It also has a large grip area which makes it very comfortable to hold when writing.